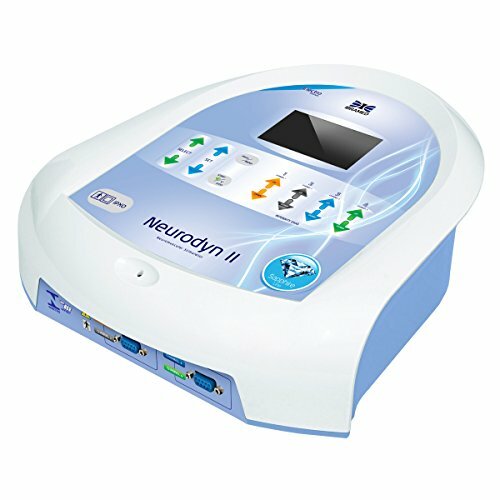 Neurodyn II is a device for electrical current application via electrodes in direct contact with the patient for neuromuscular dysfunction therapy with TENS, fes and Russian. It has four channels with independent intensity adjustments. It enables the choice of T (pulse duration) from 50 us to 500 us and of R (pulse repetition frequency) from 0.5 Hz to 250 Hz. The selection of these parameters (T and R) is made via touch keyboard with the information shown on the liquid crystal display. If you have any questions about this product by Ibramed, contact us by completing and submitting the form below. If you are looking for a specif part number, please include it with your message.